Calling all Beaver State couples: This all-encompassing guide will make planning a breeze if you're getting married in Portland, Oregon. Portland is a lively, unique city on a daily basis, but it’s an even better place to get hitched. 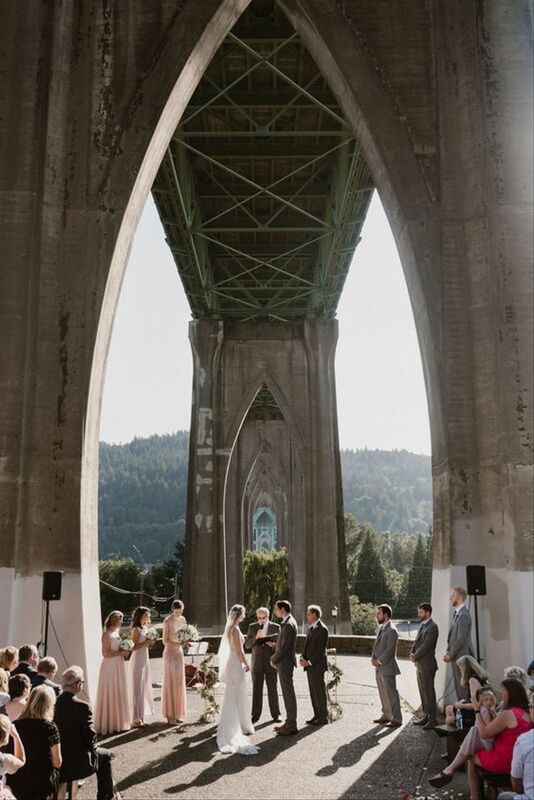 Whether you’ve already decided you’re getting married in Portland, Oregon or are still looking for the perfect spot to host your big day, this handy guide includes all the must-know information about Portland weddings. From the coolest venues to seasonal weather patterns, we’re breaking down the basics to help you plan the PDX wedding of your dreams. Here’s everything you’ll need to know if you’re getting married in Portland, Oregon. Portland has racked up quite a few stereotypes over the years — it’s been dubbed a hipster’s paradise, an environmentalist's mecca, and a coffee-drinking, craft-beer obsessed metropolis, to name a few. 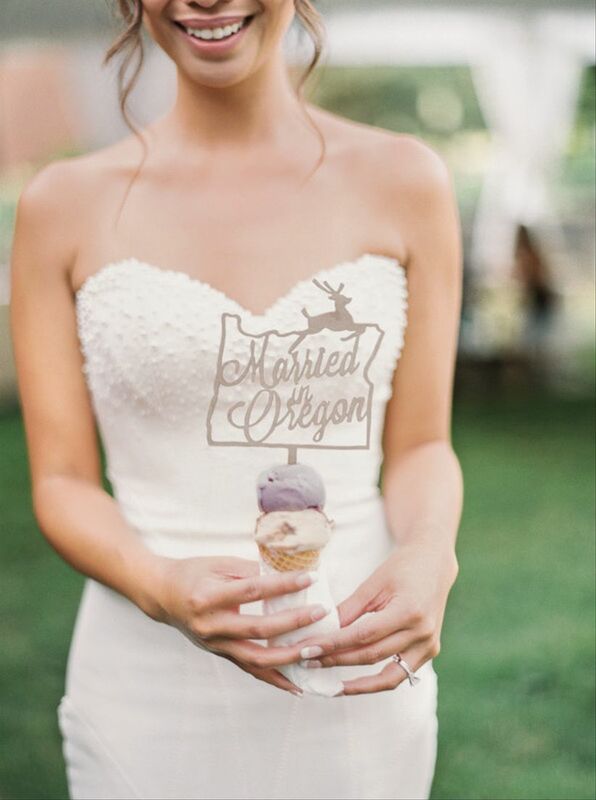 But whether or not you agree with these labels (which are actually all great things, if you ask us), there’s no argument that Portland is one of the coolest hotspots if you’re getting married in Oregon. 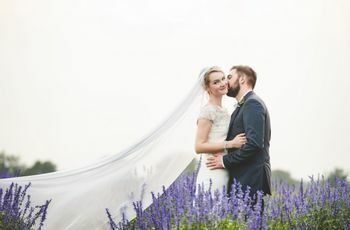 Since Portland is known for being a trendsetting city, you can rest assured that you’ll be working with some of the most creative wedding vendors in the country! 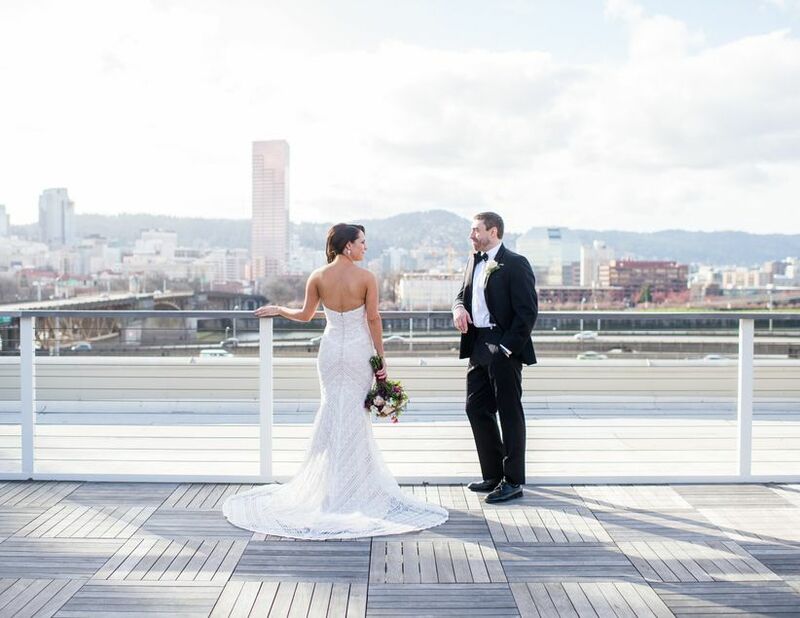 Compared to the rest of the northern U.S., the city’s mild winters make Portland an ideal year-round destination, although July and August are the most popular wedding months for Portland couples, according to WeddingWire data. Before planning your Portland wedding, be sure to brush up on the city’s busy event calendar and make note of any that could potentially affect your wedding date (traffic, hotel availability, etc.). The annual Portland Rose Festival brings parades, carnival rides, and an iconic dragon boat race to town between Memorial Day weekend and early June. If you’re thinking of getting married in Portland, Oregon in the summer, be on the lookout for Portland Beer Week, Portland Pride, music festivals, and the annual floatilla. Portland is also host to some pretty quirky events throughout the year, like the World Naked Bike Ride every summer and the giant pumpkin regatta each fall. As you’re planning your Portland, Oregon wedding, consider the transportation options that are available to you and your guests. If you’re not already a Rose City resident, you can reach Portland by airplane, car, and train. The Portland International Airport (PDX) is the largest airport in Oregon and is located approximately 12 miles from downtown. Dozens of cities across the U.S. offer direct flights to PDX, and there are even nonstop flights to Portland from various international destinations such as London, Reykjavik, and Tokyo. Once you’re in town, it’s unlikely that you’ll need to use a car unless you want one. Downtown Portland is known for being a very pedestrian-friendly city, with many restaurants, shops, and attractions accessible by foot. Biking is also big with the locals here — at least seven percent of Portland commuters ride bikes to get where they’re going, which is impressive considering the national average is less than one percent. Bike share programs and designated bike lanes make it easy (and kinda fun) for anyone to get around on two wheels. Portland also has a light rail system (MAX) and a streetcar that circulate downtown and beyond. The PNW tends to get a bad rep for being one of the rainiest places in the U.S., but this actually isn’t the case for Portland. 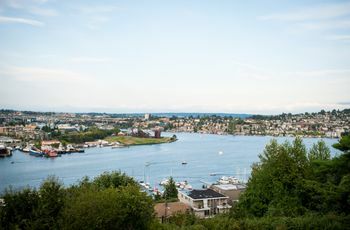 Instead, the climate is more comparable to a Mediterranean region, which is a perk for anyone getting married in Portland, Oregon at an outdoor venue. In the summer, expect warm, dry weather with low humidity. Winter brings cool (but not freezing) temperatures and most of the city’s annual rainfall, with rare but occasional snow. Mountains, rivers, forests, city skylines… Portland has it all! Host your Oregon wedding outdoors for amazing views everywhere you look. Portland has more than 600,000 residents, but if you’re dreaming of an intimate wedding, it’s surprisingly easy to find small venues that will make you feel right at home. Thanks to all-inclusive packages and seasonal discounts, getting married in Portland, Oregon doesn’t mean you have to sacrifice style over budget. From gorgeous scenery to delicious wines, there are plenty of reasons why we’re loving these winery and vineyard wedding venues. The Oregon countryside is dotted with charming barns that are perfect for hosting a rustic-style wedding. To obtain a marriage license in Oregon, both parties need to present a valid photo ID. After your marriage license application, there is a three day waiting period, and the marriage license is valid for 60 days after being issued. 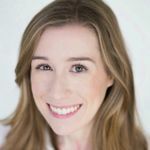 You do not need to be a state resident, but you must be 18 years old without parental consent and cannot marry if you’re under 17 years of age. Two witnesses who are at least 18 years old must also be present. If you have time to kill while you’re in town, Portland and the surrounding area offer a huge variety of activities to satisfy you and your guests. And since Oregon doesn’t have a statewide sales tax, you’ll enjoy tax-free benefits throughout the city. From clothing to artwork, Portland has a fantastic shop small scene. Live like a local and spend some time checking out the city's independent retailers. They’re one of Portland’s biggest claims to fame and can be found all over town. Eat your way through the city by sampling bites from the nearly 600 different food carts that will satisfy any type of craving (and the ones you didn’t even know you had). For Portlandians, craft beer isn’t just a pastime, it’s a way of life. With more than 75 breweries throughout the city, beer lovers have plenty of options to keep them busy. Choose from organized brewery tours or simply let your gut guide you to the best spots! Breathtaking landscapes, including the Cascade Mountains and the Oregon coastline, are just a stone’s throw away from downtown Portland. This means plenty of opportunities for hiking, sightseeing, and wildlife watching (including whales in late winter/early spring). Even without leaving Portland city limits, you’ll find dozens of parks, public spaces, and gardens. Check out the International Rose Test Garden to see exactly why Portland got its nickname, the City of Roses.